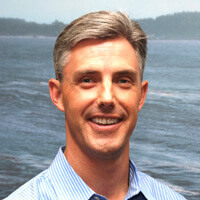 Matt Seabrook is the director and sole owner of Dresher Physical Therapy. He founded Dresher PT in 2001 and has built it into a highly respected community-based rehabilitation center. Hiring top-notch therapists and cultivating a culture of professionalism and customer service has allowed Dresher PT to distinguish itself from its competitors. Matt graduated Ithaca College with a Master’s Degree in physical therapy in 1993 and then began his career at Abington Memorial Hospital as a staff PT. Having next spent several years in corporation-based outpatient rehabilitation as both a clinician and multi-clinic manager, Matt decided to tackle his dream of starting his own company. Matt’s areas of interest include soft tissue mobilization utilizing the Graston Technique, Pre- and Post-operative ACL rehabilitation, spine rehab utilizing the McKenzie Method, and rotator cuff rehabilitation. He has written numerous articles published in various publications over the years. Matt frequently speaks to community and business groups on a wide variety of healthcare topics. Outside work, Matt enjoys coaching youth soccer, reading, exercising, and spending time with his wife and three children.